One of the things that I love about the Paleo lifestyle is that it is not a one-size-fits-all approach. Shortly after beginning our journey, Chad and I realized we had different tolerances and responses to different foods. There is no such thing as Perfect Paleo, and we have accepted that each person in our family is on a unique journey of listening and responding to their body’s needs appropriately. My personal journey with Paleo includes a sense of responsibility to lead my family on this endless quest for better sleep, less stress, and cleaner food. This Christmas season we have been inundated with treats in our environment. After indulging in more than a few non-Paleo and even Paleo treats, I am reminded of where I am on my journey. Even a small amount of sugar and refined flour sends my blood sugar on a wild ride, leaves me feeling weak and shaky, and depletes the healthy energy that I need to care for my kids and run my household. Thankfully, Jan 1 is quickly approaching, and I would be lying if I said I wasn’t craving schedule, planned meals, earlier bedtimes, and cleaner foods that make our family function optimally. In addition, I’ve had a few Paleo resolutions rolling around in my head for a while that I think are reasonable and appropriate goals for us, sometime in 2012. 1. Start a Paleo blog–this is nearly checked off. While I was planning to start this blog when Charlotte entered Kindergarten, I jump started it to help others and to kick my stress management skills into gear by holding myself accountable. I hope to be honest and accepting and steer clear of preaching or judging. 2. Make more homemade bone broth & sauerkraut–this is a bit of a confession. How can I consider myself a Paleo blogger if I haven’t made these Paleo wonders that are full of healthy nourishment that help heal a leaky gut? Diane and Liz, I’ve been listening…so stay tuned for posts on these super-Paleo foods. 3. Darken our bedrooms–This has been on the list of home improvement projects since I read Robb Wolf’s book, but after listening to podcast from Underground Wellness with T.S. Wiley, I learned how sleeping in dark room facilitates melatonin and Vitamin D production, therefore positively affecting insulin, serotonin, and other key hormones that make us feel good. Charlotte’s fear of the dark has lessened significantly, so I need to grab this opportunity for better sleep and regulation with her while I can. 4. Less TV for the kids–With winter illness and icy weather running rampant in our household for the last month, TV gazing has become more prevalent for the kids as they are looking for a way to wind down after hectic schedules, heal from runny noses and sore throats, and generally stay out of mommy’s way while she runs around like a crazy person during the holidays. Mostly importantly, I need to remember to be kind to myself and enjoy our journey. A few symptoms of dysregulation and falling off the Paleo wagon only give us more motivation to take another step toward overall wellness, as defined by us. 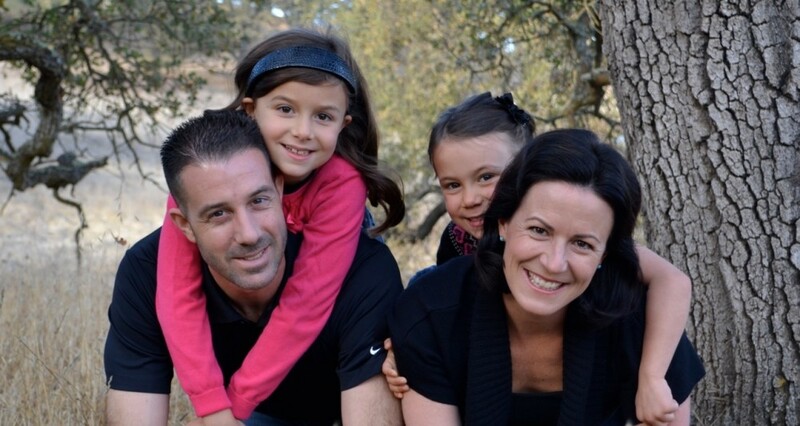 This entry was posted in Gut-brain, Mom's Health, Stress management by peacelovepaleo. Bookmark the permalink. Looking forward to reading your blog! I recently started my own paleo blog, and am excited to start healing my own health issues through paleo.